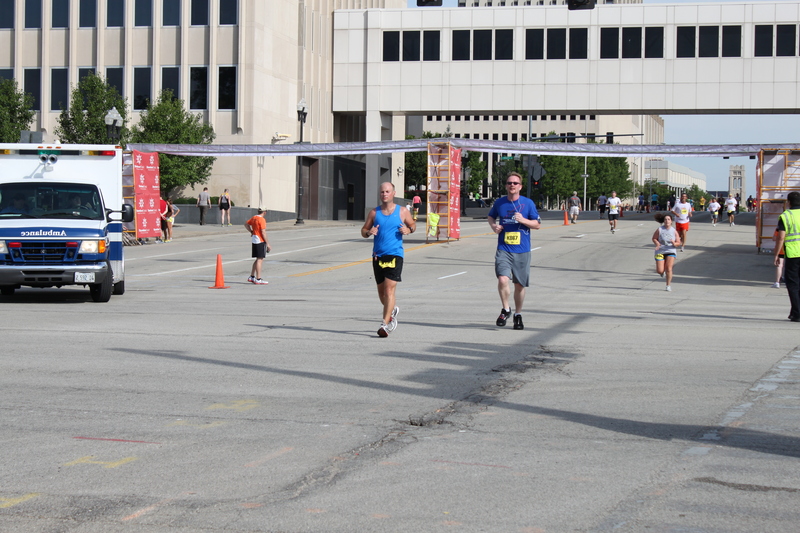 Last Saturday was the 2012 Steamboat Classic, which has the toughest 15K in Illinois that I was not able to run due to my injury. 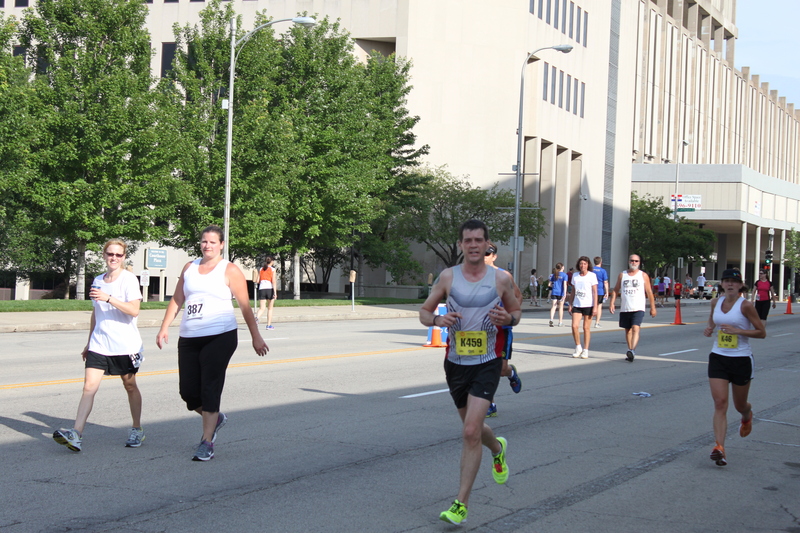 I had been doing Team Steam training for this race specifically twice a week, driving over after work for practice. I was so ready to improve on my PR with this course and hopefully improve my placing in this race (16th and 18th in previous years). I was hopeful the extra training on the course would help with the punishing hill climb this race is known for. 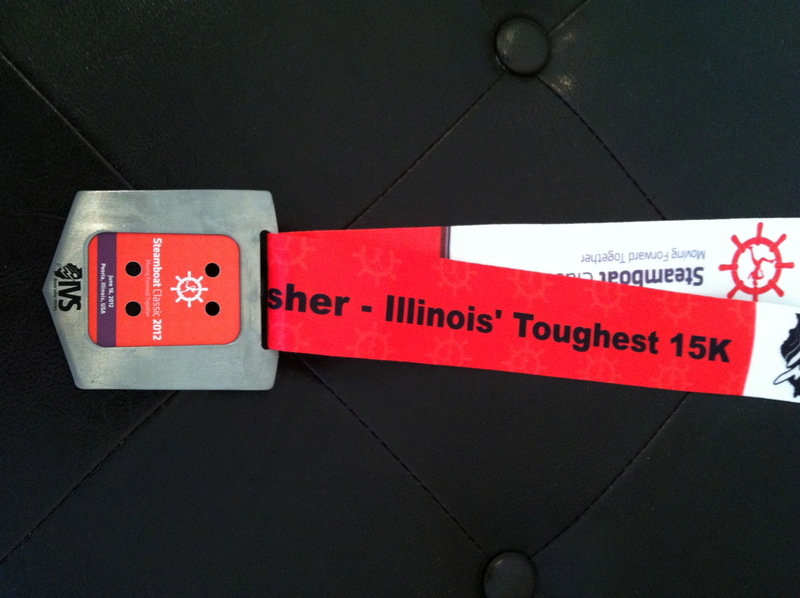 Instead I think coming off of Boston and then IL Marathon less than two weeks later took its toll on me. I didn’t recover from my races and then added new hill training on top of it. Since I’m half way through my recovery process I would be on the sidelines cheering Rob, Drew and everyone else on. Saturday morning it was a bit overcast and breezy, but quite humid. It would be a thick warm morning to race. 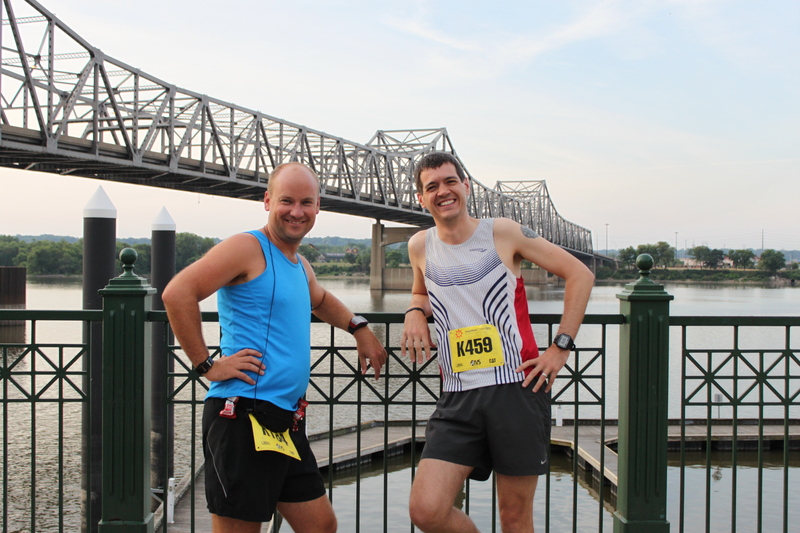 We found Drew and took some time to take pictures by the river before they headed out for their warm up. I did have thoughts of, I could do this race. It would be painful, but I could do it. Luckily I left my chip at home so that thought couldn’t be entertained further. And I did know better, I’m still sore standing and sitting, there is no way running would be a good idea. I found a spot to spectate from and anxiously awaited the start. I enjoyed seeing so many of our friends out at this local race. Often Running was in full effect with what looked like most of everyone on the team, looking great and ready to race. It was awesome to get to cheer them on. Plus I saw people from our Team Steam group, Lake Run Club and others. It was so great to wish everyone well and have so many people ask how I was doing with my recovery. Before I knew it they were off. 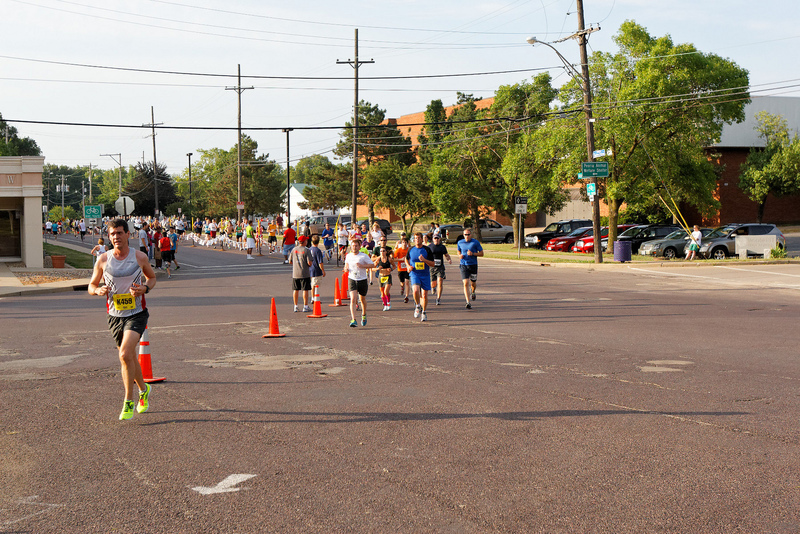 The 15K and 4 Mile start together so it’s a sea of people for the first two miles before the courses split apart. Great smiles! If you can smile, you can run faster!! This is what you came for, focus on that finish! We know it hurts, and you do it anyway, keep going!! Let’s get this one done, you’re stronger for doing this! Everything you got, you can rest the rest of today! I loved watching the race, people of every pace pushing themselves, tired, frustrated, happy, hurting, all of it shows on their faces and they all keep going. Some pictures of Rob starting the first loop of the big hill (this course does two loops in Peoria’s Glenn Oak Park, so you get to do the big hill twice). And coming down the hill. 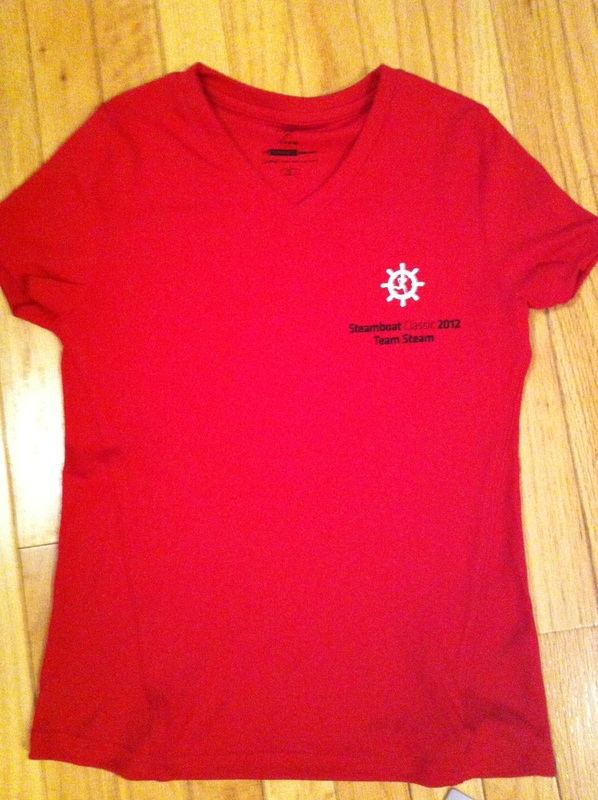 This year they did a technical shirt than a cotton t-shirt, I thought that was a nice change. The medal changed again this year. I miss the old steamboat wheel from 2010 and earlier, 2011 was a painted image on a medal. This year was a medal that you insert your chip into. We have never seen a medal like this so it was unique, but for this race I kinda missed the old iconic medal of 2010. 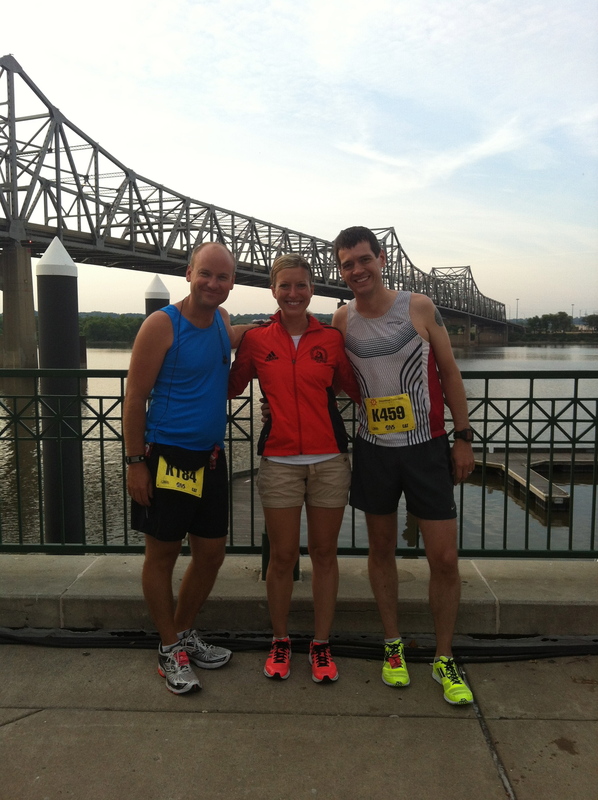 Congrats to Rob, Drew, ORRT, Team Steam, Lake Run Club, and everyone that raced!! I was proud to see everyone out there working hard and I can’t wait to get back into racing too! Categories: Steamboat Classic | Permalink. PSA – WordPress bombed and lost my post and I had to re-do this post….grrrrr!!!! Last week has been exhausting. I was wiped Thursday and opted for a long nap after work than going to Team Steam. I was completely drained. Later that night I was able to get in 5 miles easy on the treadmill before calling it a day. 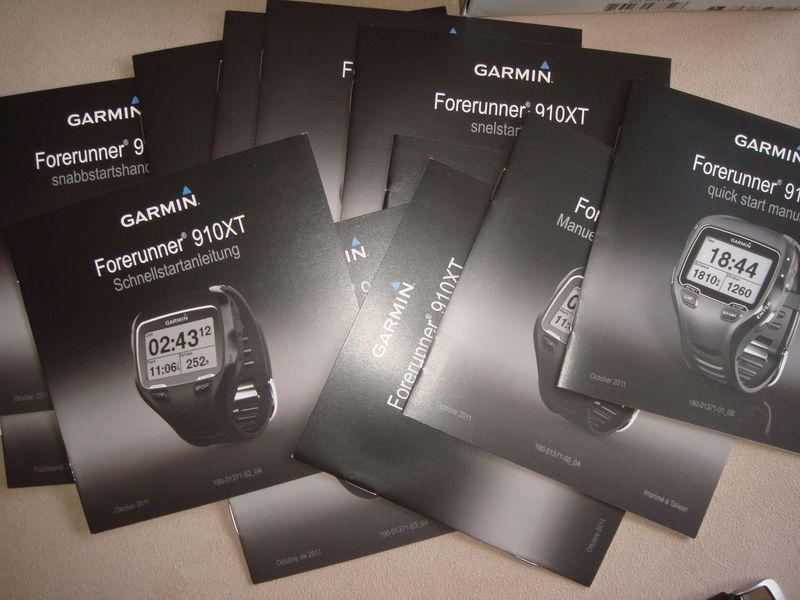 Last Friday we had an exciting delivery, our new Garmin 910 XTs are here!! 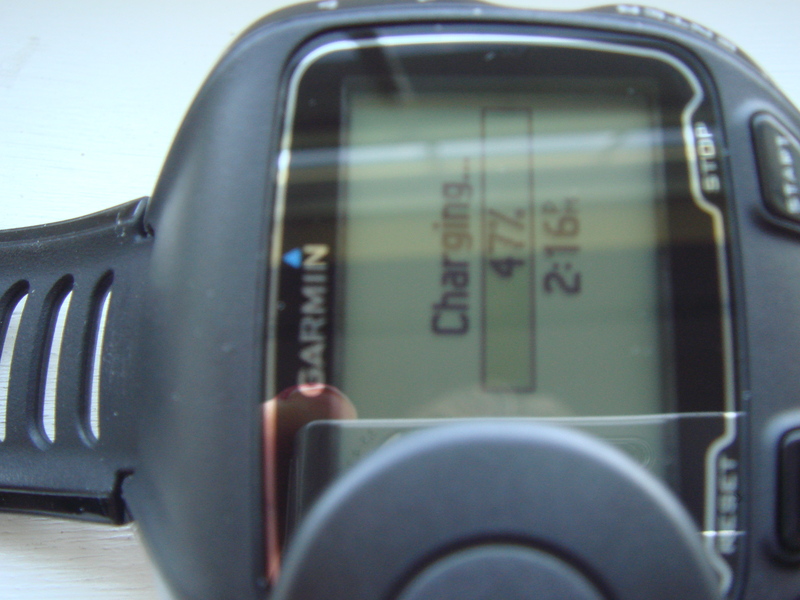 If you haven’t seen anything about it, here is some information on Garmin’s YouTube channel. I immediately got them unboxed and charging. So glad that they include quick start guides in about 15 languages. I can brush up on my Mandarin while I wait for this thing to charge. For size comparison here is the 910 next to the 305 and the 210. 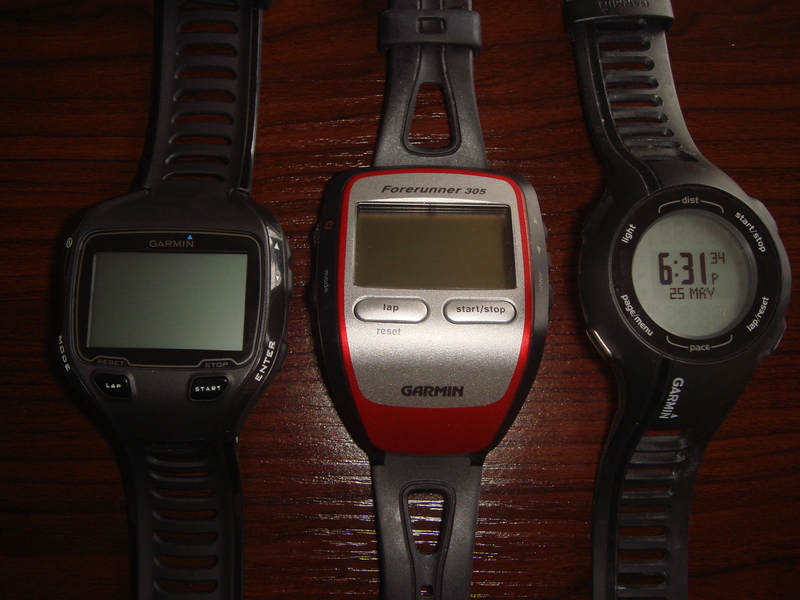 I like the 210 watch-like feel, but it is only a running watch and if it’s going to mess up keeping distance and pace correctly, then it will be only a back up watch. 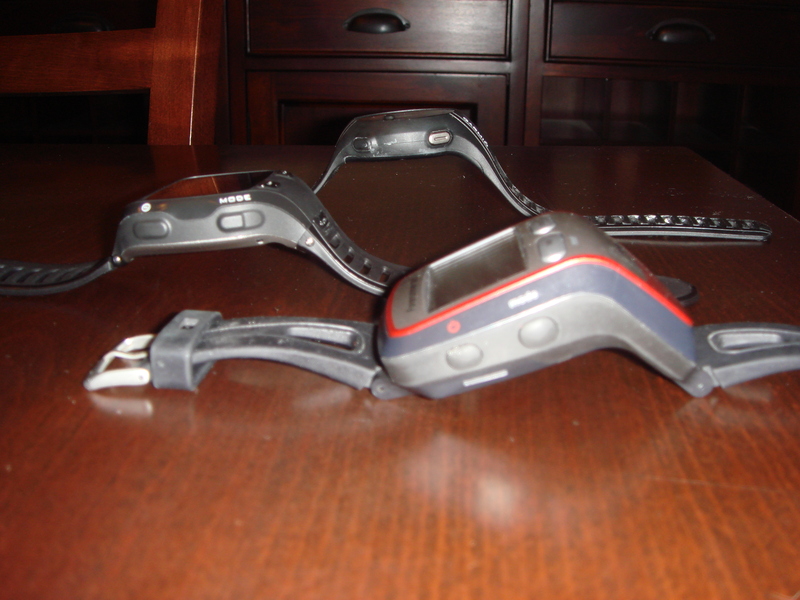 The 910 is thinner and sleeker than the older 305 model and the display is much larger on the 910. 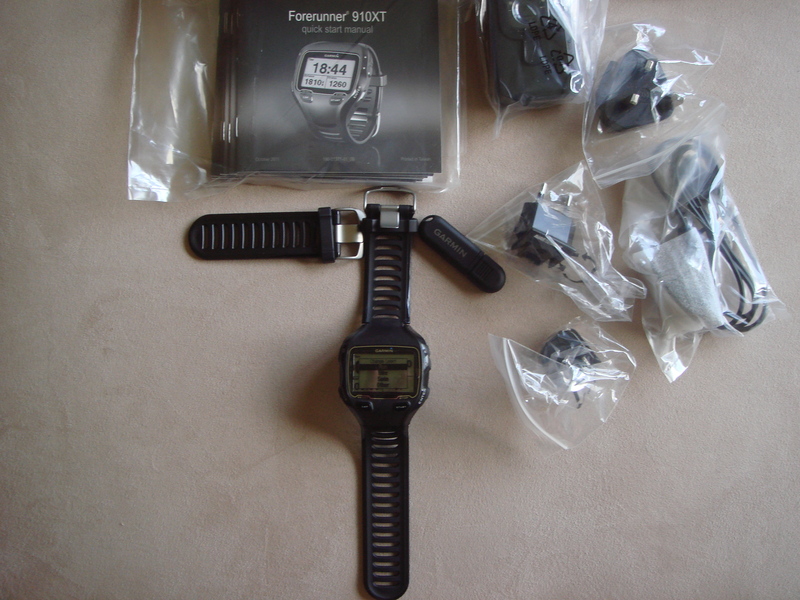 So this post won’t be a full on gear review since I need some time with the watch to learn the features. Then I can come back with more comments and what I like and changes I would want in a future model. Plus there are two key elements still missing from my training to make a full review and that is cycling outdoors and swimming. I will be doing a bit of that and while my effort will be elementary, hopefully sharing my experience will help others decide what gear may be best for them. 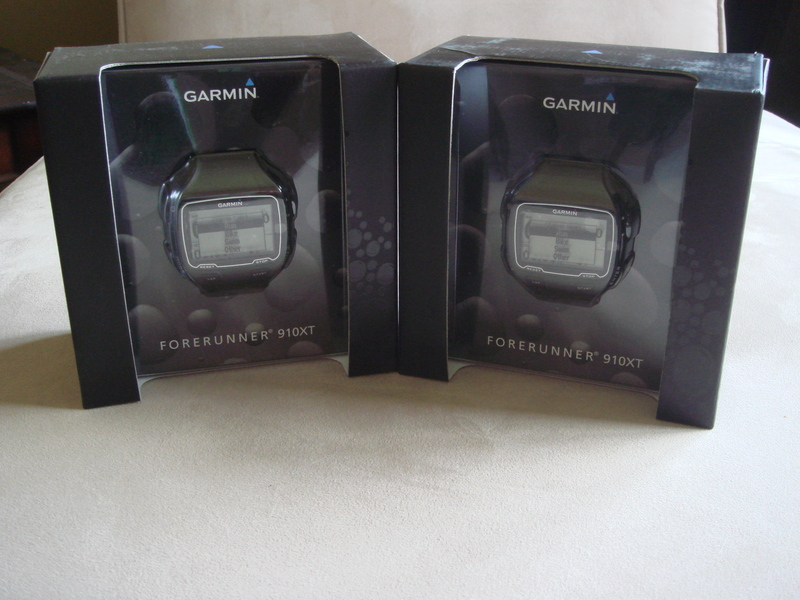 Anyone have the Garmin 910XT? If so, what are your favorite features or tips for using it? Categories: Gear Review, Team Steam | Permalink. Tuesday’s Team Steam workout was a new one, it was called an “Envelope Track Workout”. Basically that meant pull various track distances out of a hat and run them until we met or exceeded 4 miles of workout. We also kept our recoveries as short as possible, which was about 30-40 seconds for me. What made this strange was not really knowing what was next. How do I run my 400M pace without knowing if the next go around was 120o, 800, or 400? 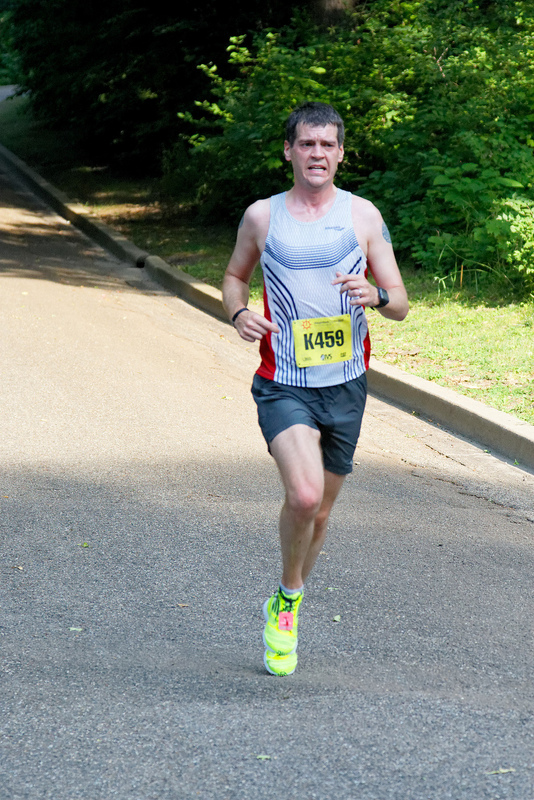 I made sure to keep my effort above my goal pace for this race, but I didn’t go all out either until we got our last 400M and felt like I could run what has been my pace for them lately (1:31 – 5:58 Pace). I can’t say this was my favorite workout. I would rather know what I’m in for upfront, even if it’s 12 x 400s, 10 x 800s or whatever. 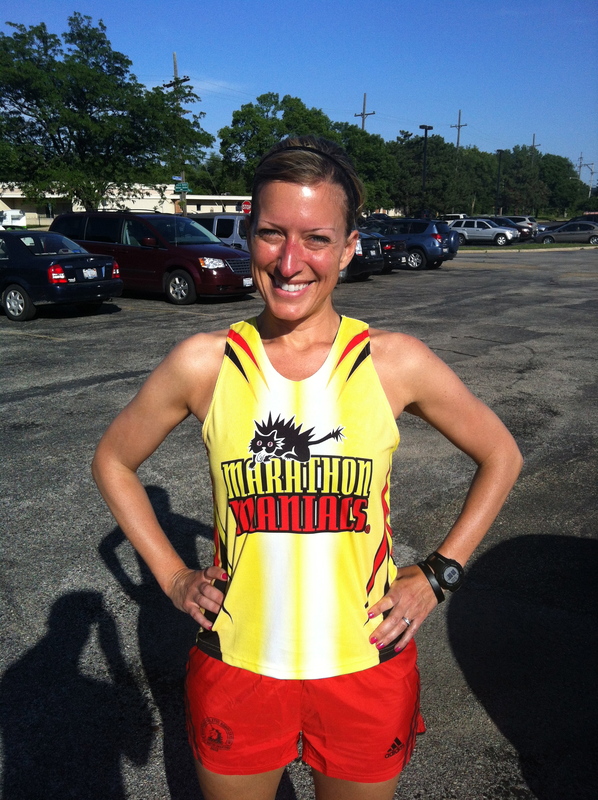 I did get to wear my Marathon Maniacs jersey. One thing I can’t explain is the design that includes a cat and a guy on the back. So I went out and looked up the history, makes more sense now! Categories: Marathon Maniac, Team Steam | Permalink. 1.03 Mile Easy (‘Hood, 9:43, 9:27 Pace) — My watch was acting crazy, I had to restart it. This week has been work of trying to keep pace, in all aspects. For running, my legs have either been stale, the heat has been very hot (80+ degrees) or both. All I can do is try to move forward and keep at it even when my pace suffers. We did a race on Saturday and from my workout list above you can see it wasn’t my best, but I will get a race report posted how it went next. Categories: Team Steam, Training | Permalink. We have been having amazing mild and beautiful weather. Wednesday was windy, but I had 8 easy so the wind really wasn’t a factor since I wasn’t trying to hit a particular pace. Thursday our Team Steam workout was a but kicking hill workout that was 1 mile repeats that had a perfect balance of .5 mile climb and .5 mile cruising back down. I am loving these workouts. The scenery and turns keep it interesting. 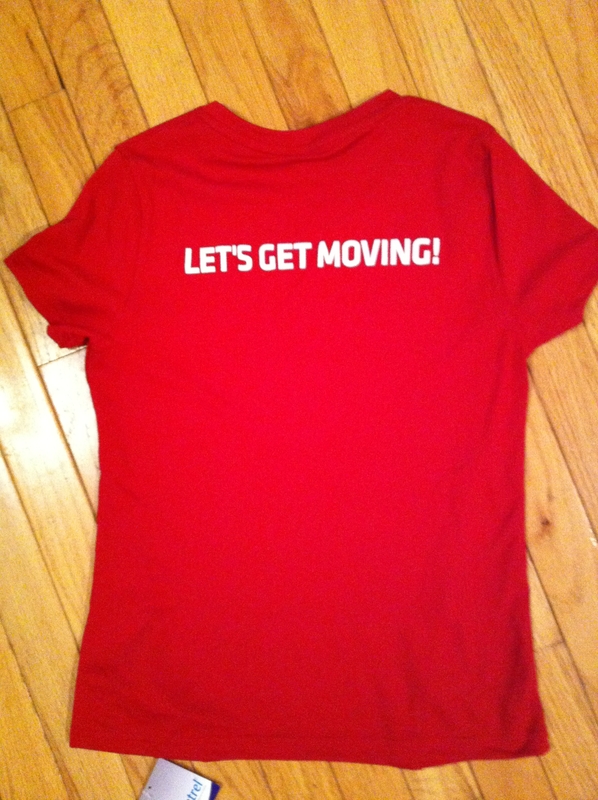 We also got our team shirts! Love them! Sorry for blurry phone pics. Categories: Team Steam | Permalink.